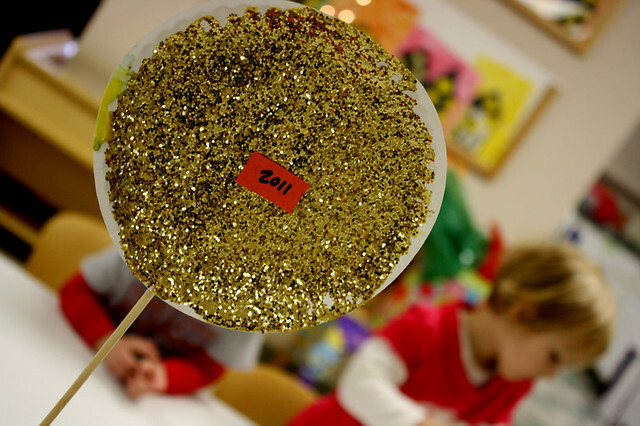 paper plates + watered down glue + paint brushes + glitter + stick + tape = new year’s ball! there were several techniques to get the glitter on the plate. one was to spoon it which seems like good practice for soup eating! 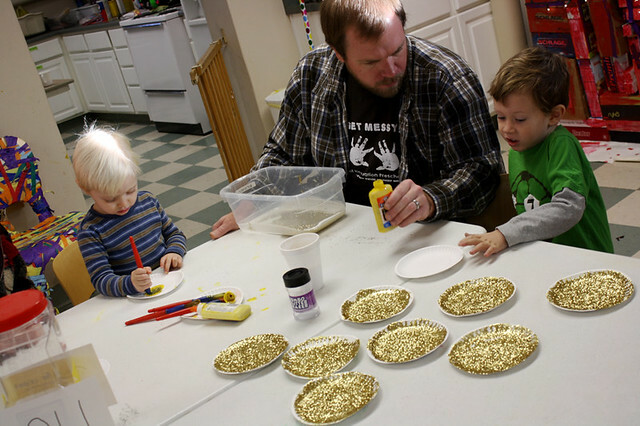 some preschoolers noticed that they didn’t have as much glitter on as they wanted so they went back and added more glue, then more glitter, then more glue, then more glitter. ah, yes. thank you to mr rob who finds himself on the finishing up end of these messy projects. 10 9 8 7 6 5 4 3 2 1…happy new year!!! 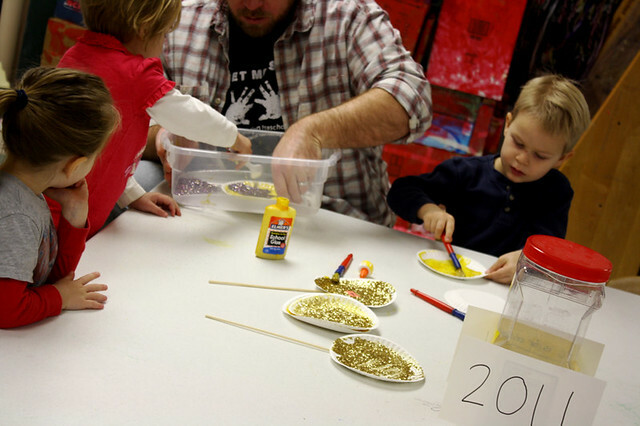 p is for paint on the art roller! Love those N.Year balls …I will make those tomorrow. I would loved to have a tour(video or photo) of your classroom.There are so many things to look at .What are those rainbow ribbons for? Thanks again for all these super ideas,so nice that your doing this.